It almost feels like a life time ago when we first saw the writer and director Joe Cornish’s brilliant and original directorial debut, Attack the Block. Film fans have been waiting a long-time to see what Cornish would do next and now we finally know and it may come off as a bit of a surprise to everyone. 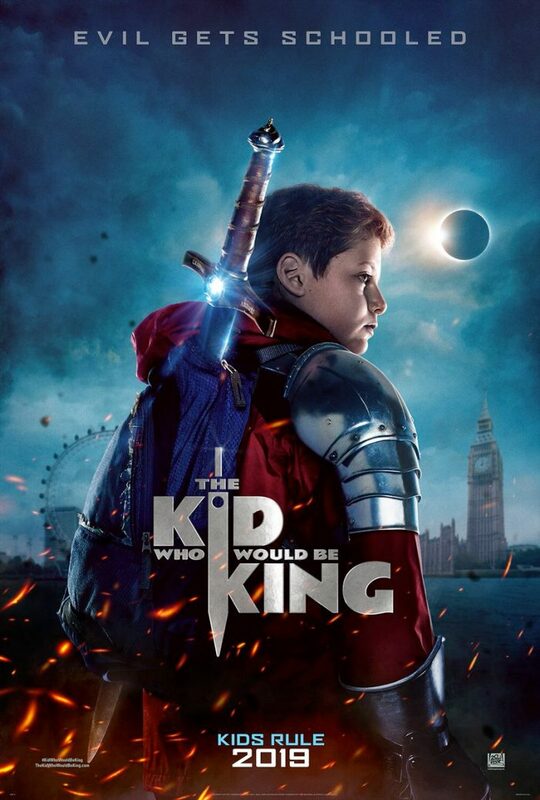 Earlier today, 20th Century Fox took to their Twitter feed, to reveal the first poster for Joe Cornish’s second film, officially titled The Kid Who Would Be King! The fantasy adventure follows a 12-year old British schoolboy named Alex (Louis Serkis) whose life is changed forever when he stumbles upon the mythical sword Excalibur. With the most powerful sword in history in the hands of the most powerless schoolboy in Britain, Alex and his friends embark on an adventure where they must thwart a medieval villain named Morgana, who is hell-bent on destroying the world. While that set-up may not sound like something that is super original original at first glance, after seeing what this guy did with his first feature film. This film’s potential to be a instant classic is through the freaking roof. Just to note, the great Patrick Stewart and the badass Rebecca Ferguson are among the film’s cast. Hopefully we’ll be checking out the first teaser trailer sometime very, very soon! Check out the very cool first look poster for the new film below. Afterwards, jump down in the comments and let us know if you’re excited for this film or not? See you guys next time!